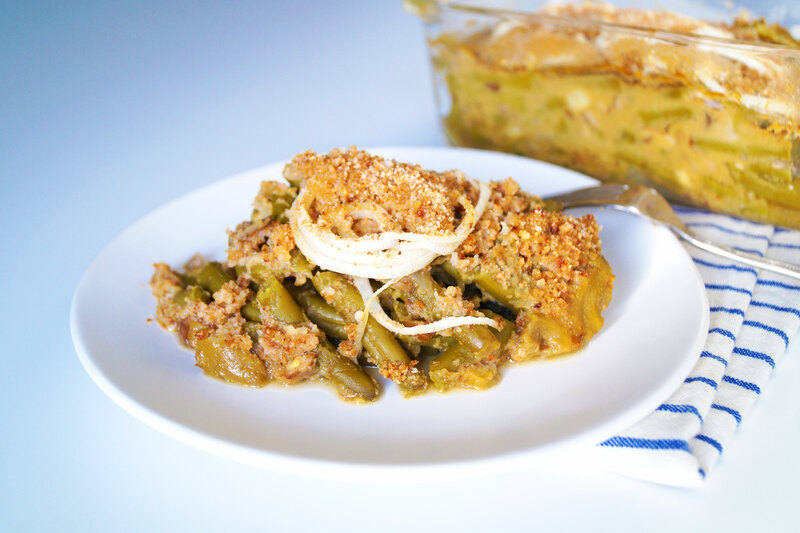 Today I’m sharing how to make a healthier green bean casserole. My husband and I made this dish at Thanksgiving and talked about it in our November Vlog and many of you asked for a cooking video! Ask and you shall receive! Thanks so much for watching, subscribing & being apart of this fabulous community! Add coconut oil into a stovetop pan on medium heat. Add your diced onions and let cook until the onions are translucent. Bake in the oven at 350 degree Fahrenheit for 45 - 50 minutes and enjoy! I used canned green beans because my husband does not like the texture of fresh green beans. However fresh green beans would be lovely in this recipe!